We use a high quality weather resistant vinyl for this application. 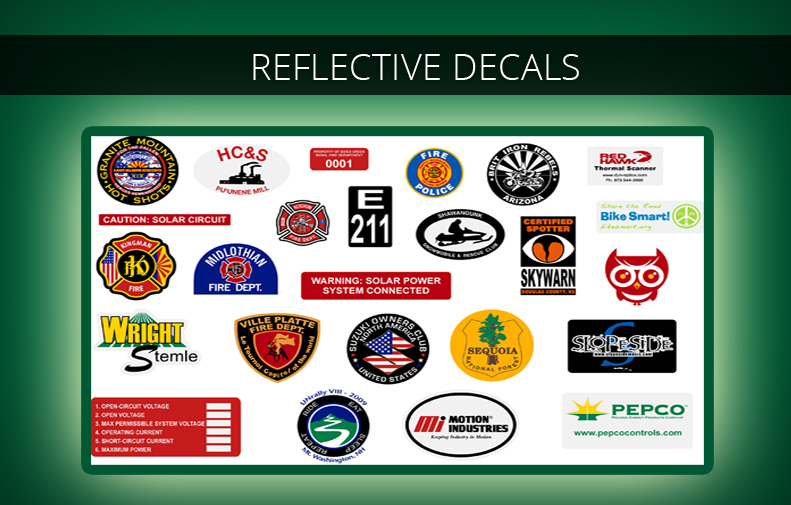 Outside decals can be placed anywhere on the vehicle, but usually go on the front or rear windows. 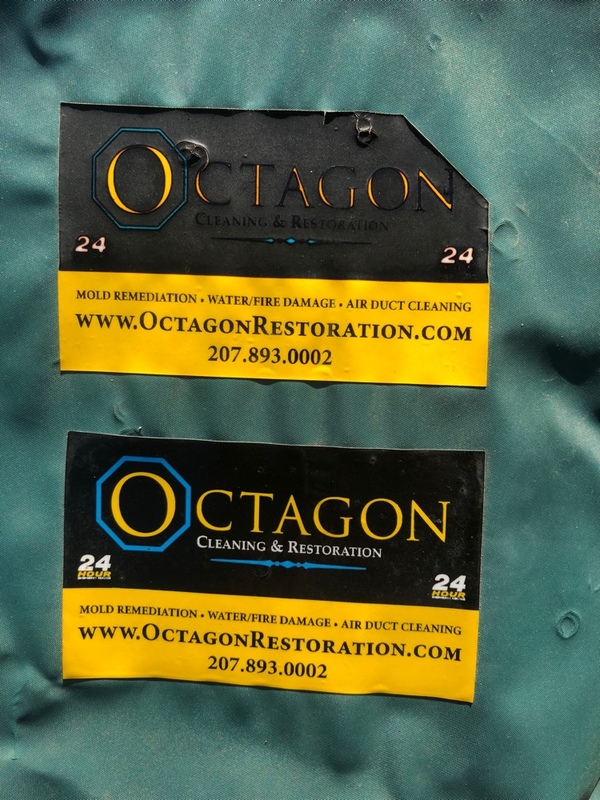 While offering better visibility than inside window decals, there is a greater chance of unwanted removal. Vinyl is a strong durable material and if removed will most likely come off in one piece. 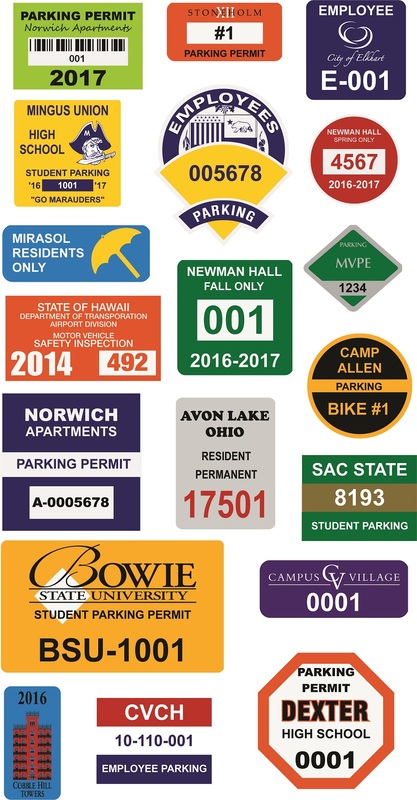 If you are worried about this possibility, we can cut the decals with X or other security slits within each decal or you should consider the tamper evident VOID, reflective or inside window decals. Prices are based on a 1 or 2 standard colors. We may or may not be able to do exact color matching. Additional colors are extra. Smaller sizes up to 2" square, circle, rectangle, or shape. Larger sizes up to 3.5" square, circle, rectangle, or shape. Available with a clear or white liner. 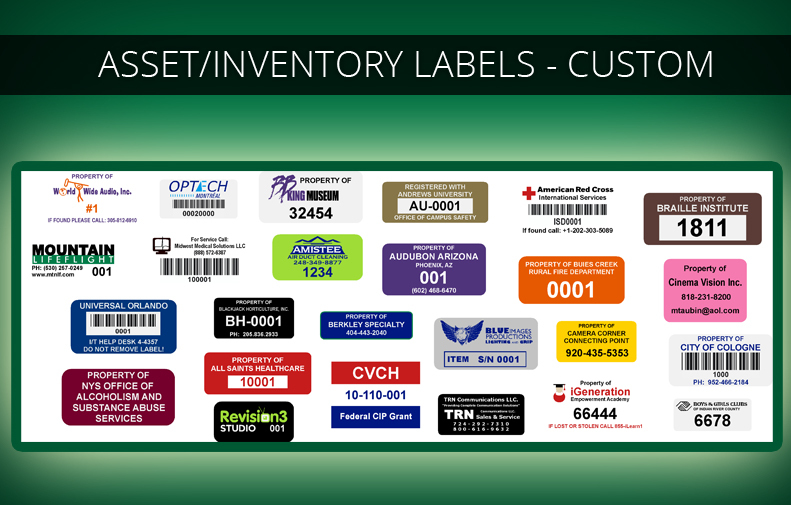 (priced separate) The labels themselves are the same, just the liner they are attached to is different. The clear liner makes it easier to see through the label in case you need to make a copy of it before applying, but since we have this option custom made for us they are more expensive. The VOID tamper material is for outside application anywhere on the vehicle. 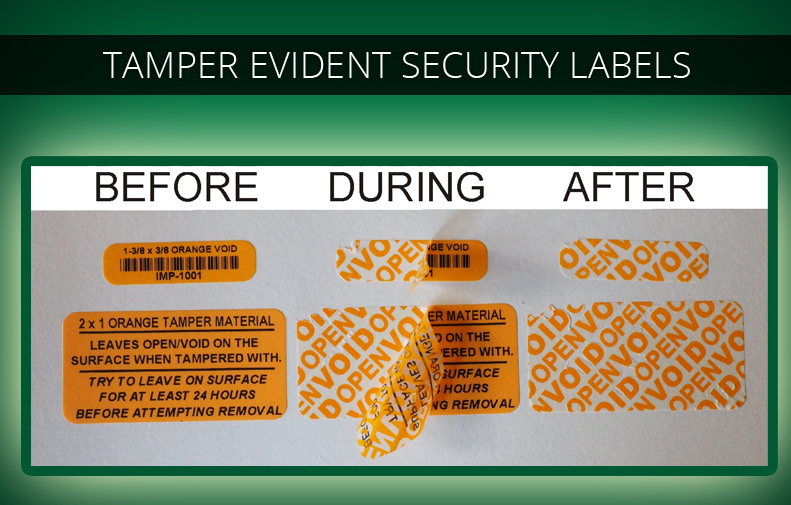 It is similar to the vinyl, but when removed leaves a VOID pattern of the adhesive behind to show that the label has been tampered with and cannot be reused. This material is available in white or shiny silver. The white is recommend though since the silver has a shine to it which can be harder to see outside. The pattern left behind is not permanent; it can be wiped away with alcohol or other window cleaner. Now available for inside window application. Ask for details. Our high quality reflective material is now available for both inside and outside window application. We use an engineering grade reflective material for higher visibility at night when a light source shines on it. Reflective has a very strong adhesive that gets stronger over time. If you need to remove them, they will not come off without a fight. They may need to be scraped off. The strong adhesive gives an added level of security because of this. It would not be easy for someone to take them off and reuse them on another vehicle. We do have a lower tack adhesive reflective, but it is not as effective. Reflective printing is a little different. Keep in mind that it is the material itself that is reflective, not the ink. When you print on reflective you block out the reflectivness in that area, so on the samples you see below, where the white is, is the reflective part. We normally adjust the design to give you the optimal amount of reflective area. 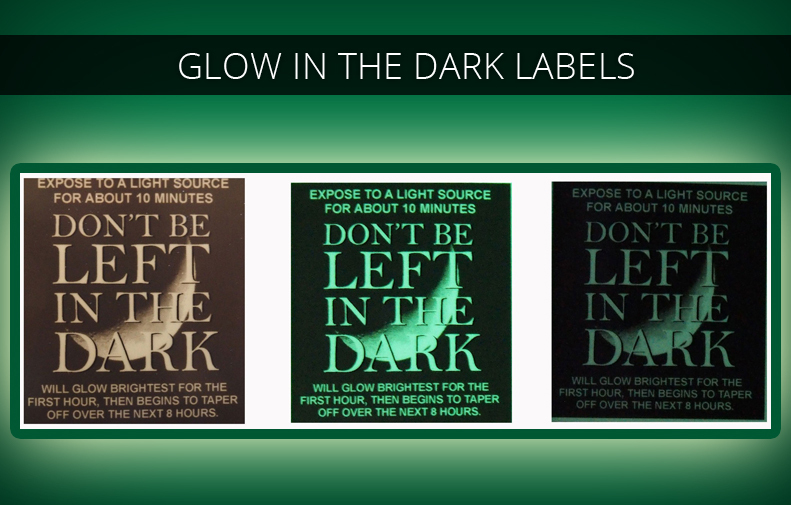 We have certain colors that are transparent so they retain the reflective area. There is an additional charge for transparent colors if they are needed. 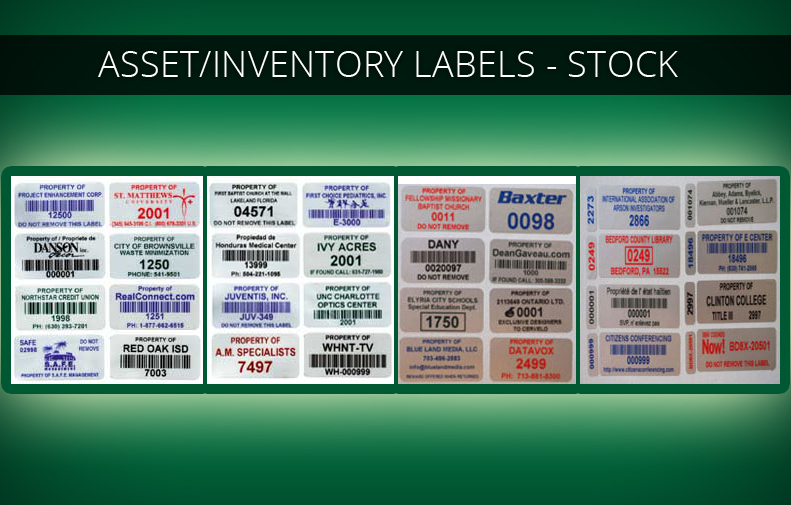 Prices include set up, sequential numbering or barcoding. There are no additional charges other than shipping (or if a logo needs to be recreated). 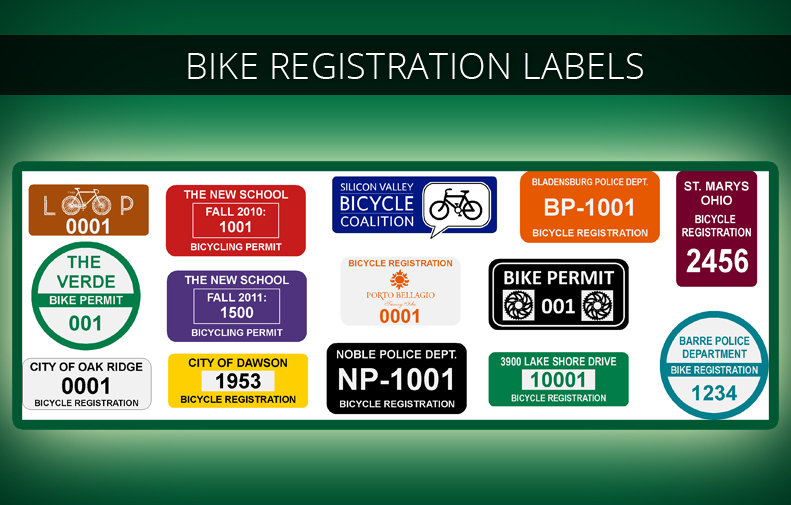 The decals are supplied on sheets or as individual single pieces. They are weather, chemical and fade resistant. 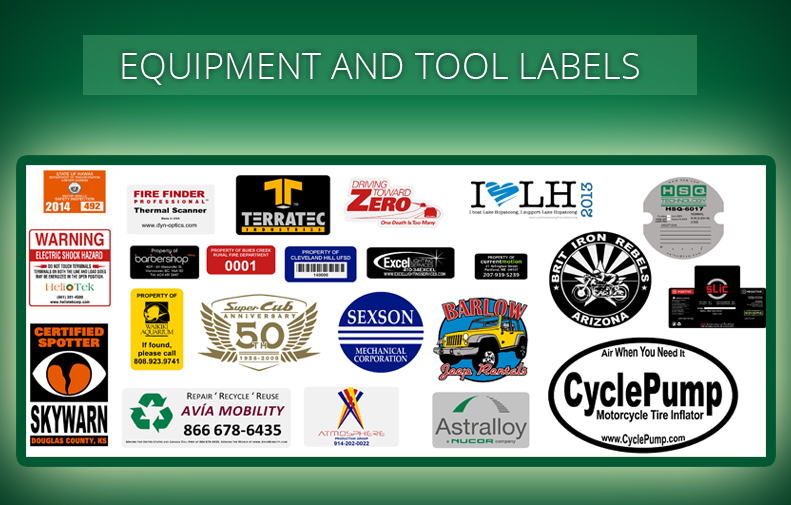 As with our other products, these labels are printed in house from our Tucson, AZ facility. Most orders are printed and shipped in 2 to 3 days and shipped via priority mail unless other arrangements are made. For basic designs, we can create the artwork for you. If you have your own logo or specific design that you want, we would like it supplied (if possible) in vector format from an original .eps .ai or pdf format. Anything other than that could affect the quality of the print. Below is pricing for some basic sizes on each of the three above materials. If you are looking for a different material or size please do not hesitate to ask. Below are a several samples which you can use as a guideline for design and colors. We do have other colors available so check with us if you have something else that you are looking for.